Another home match and another victory for Mackie who held their nerve after a slow start and did not allow their demons to haunt them after last week’s horrorshow at Inverurie. 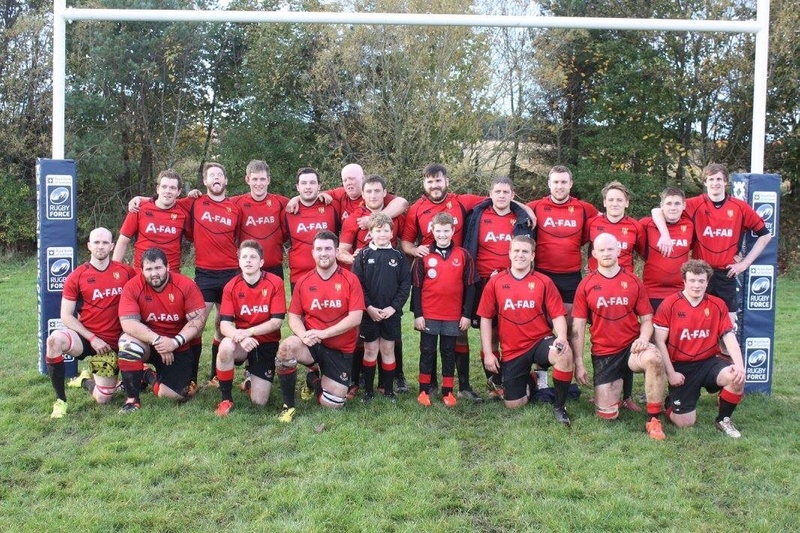 Bolstered by the return of Ross Gray and Rory Mellis, Mackie rediscovered their attacking flair and defensive zeal to overcome a hardworking Ross Sutherland side who contributed to an entertaining contest at Redcloak. Ross Sutherland were late arriving but started better scoring a try after 5 minutes which was converted. Mackie then started to play and equalised with a wonderful solo try from fullback Cammy Gray who sliced through the defence to score, conversion followed from brother Ross, 7-7. Two more excellent back moves on the left produced two more converted scores for Mackie, one from Dave Garden and the other from Marcus Brown, both conversions from Ross Gray making it 21-7 to the home side after 26 minutes. The visitors were not content to lie down and mounted some good attacks but found the Mackie defence back in business again after recent wobbles. Indeed it was Mackie who pressed their advantage further with a puchover try from ever impressive forward Dean Gerrard to bring us to the half at 28-7. Some enforced changes due to injuries still saw Mackie start the second half keen to extend their lead and duly did so with a well worked score under the posts from winger Kyle Mair, converted, making it 35-7. At this point it was all or nothing for the visitors and they put immense pressure on the Mackie line and were rewarded with two tries around the hour mark with one conversion and for a moment the rain soaked but stoic home crowd feared the game could still turn sour at 35-19. However, Mackie defence held firm with a tackle count worthy of the name in face of a spirited Ross Sutherland charge and returning favourite Duncan Ross added the coup de grace getting on the end of a clever passing move on the left to score the final try under the posts to secure a 42-19 victory. This was another entertaining rugby match with two good sides who could play rugby. We all know how well Mackie can attack with the talent they have in both forwards and backs and they also fronted up in defence to earn a well deserved victory. Some work still needed at the set piece but otherwise a very satisfying performance. Man of the match goes to Cammy Gray for his tireless work all day and a superb try which started his team on the road to victory.